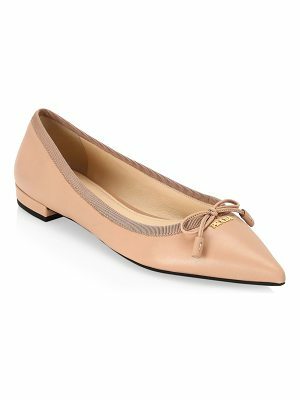 A bow and logo charm add a sweet touch to suede Sam Edelman ballet flats. 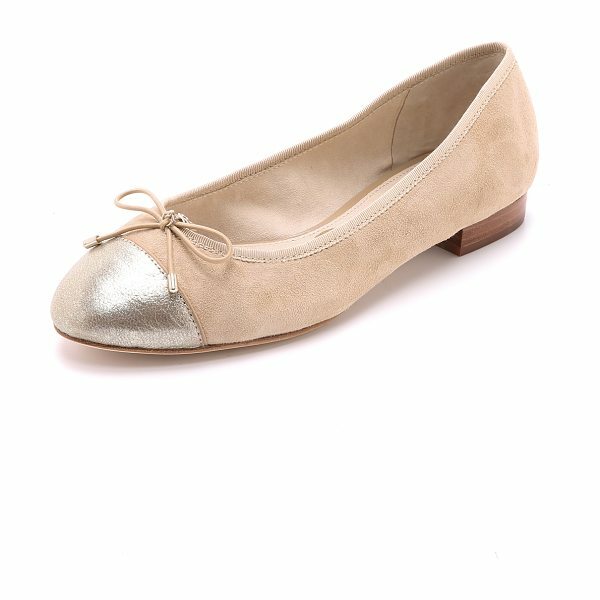 Metallic leather cap toe and tonal grosgrain trim. Padded footbed and faux leather sole. Leather: Cowhide. Imported, China. This item cannot be gift boxed.